Since things get crazy as summer winds down, and especially with kids getting ready to go back to school, we’ve listed some very fun journaling ideas from some fantastic people around the web to help remember the summer days and plan ahead for the fall. With school right around the corner, it’s a great time to create a journal to jot down the kids’ accomplishments (or shenanigans) from the summer (or plans for the future). Maybe you had lots of time to read this summer (or maybe you’re like me and wonder where the time went). If you did manage to get some reading done this summer, good for you! Draw a little bookshelf in your journal (ruler/straight-edge helps), and write the titles of the books you’ve read over the summer. You could use this idea for books that you want to read as well, setting a goal for yourself and then coming back and marking the books with a little dot or the date read to show they’re completed. It’s a fun way to capture what’s happening in your life, the types of stories that you’re drawn to over time. Expand on the idea by not just tracking the books you’ve read, but how they’ve impacted you, what they’ve made you think about, and the characters that impacted you. The idea above is a type of bullet journaling. Bullet Journaling is a very visual way to journal. Rather than just plain text, bullet journaling includes arranging the text in fun ways, adding sketches, and yes, jotting down bullet points. Over at the Passion Themed Life, Kacheri shares her Top 3 Does and Don’ts of Bullet Journaling. One of the great points mentioned is finding a community. There are lots of bullet journal keepers out there, and following ones you like on Instagram or other social media can offer some great ideas for your journaling. You can have lots of fun bullet journaling, and it can be as structured or free as you want it to be [rhyme]. If you’re intrigued by the idea, I’d suggest reading an article by Kara over at Boho Berry which offers some great ideas. Use your bullet journal to keep track of tasks, goals, lists (I love Kara’s gratitude list she made). 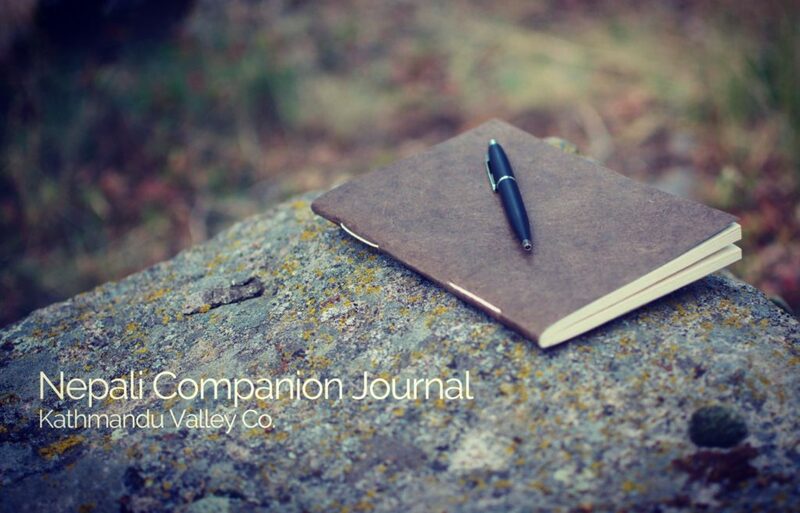 If you’re looking for journals with various size options to better meet your needs we recommend our Nepali Keeper Journals or for greater portability, take a look at our Nepali Companion Notebooks. Each journal is hand-crafted with paper made by hand from the Himalayan Lokta Bush.